This unique property is the perfect weekend getaway. 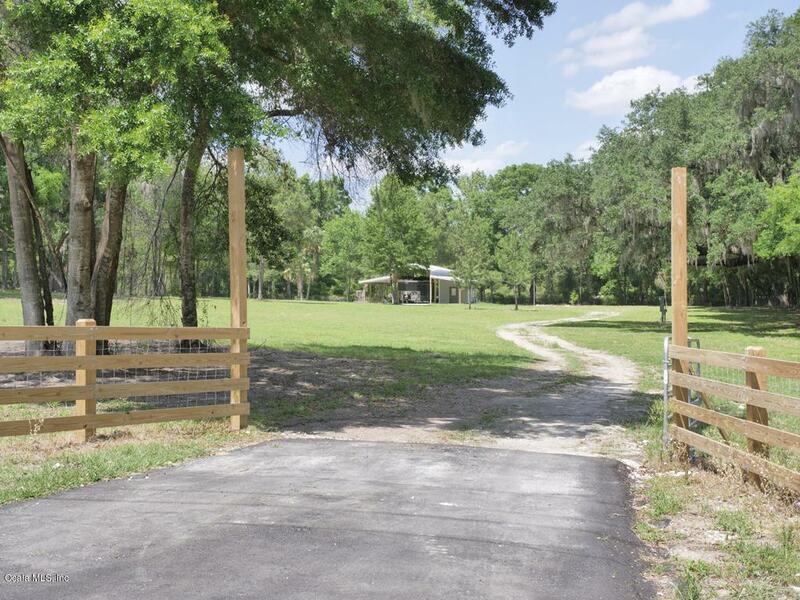 Perfect for the avid outdoorsman or a passionate cyclist, this 5 acre property is directly adjoined to the Cross Florida Greenway, offering the opportunity to enjoy both bike trails and horse trails all year long. 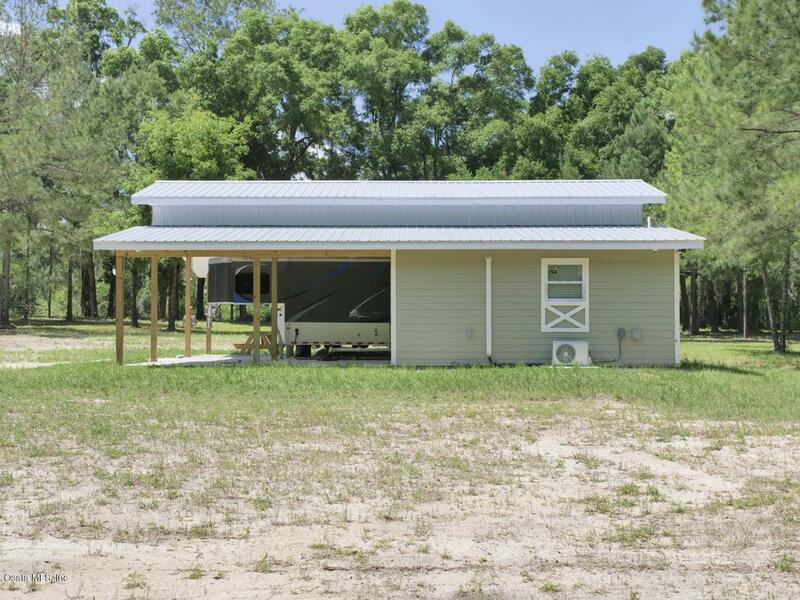 As the main structure on this property, the pole barn offers a metal roof, recess can lighting under the open area, and three 50 amp RV receptacles and water hook-ups. The barn also includes a 504 sq.ft. apartment under air, with washer/dryer, efficiency kitchen, and tankless water heater. 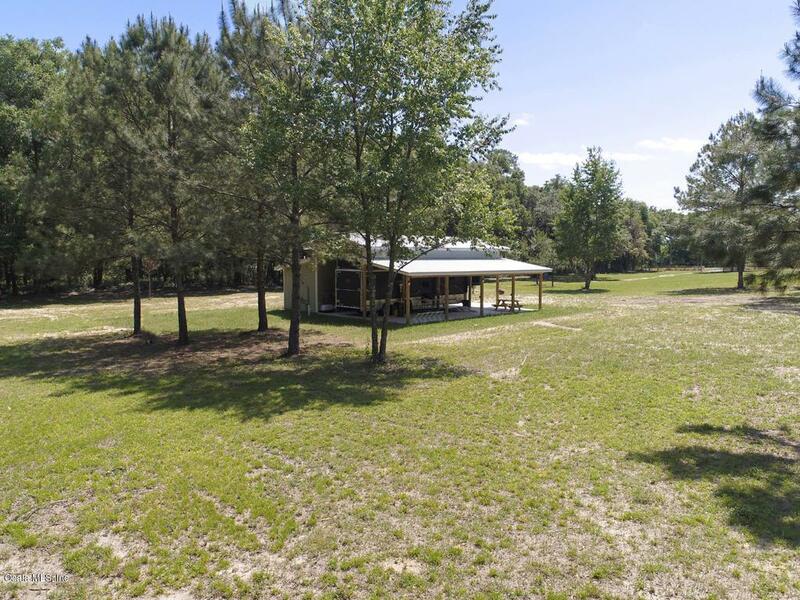 Just minutes from Florida Horse Park, this property is also convenient to both Ocala and The Villages' dining, shopping, and event options. 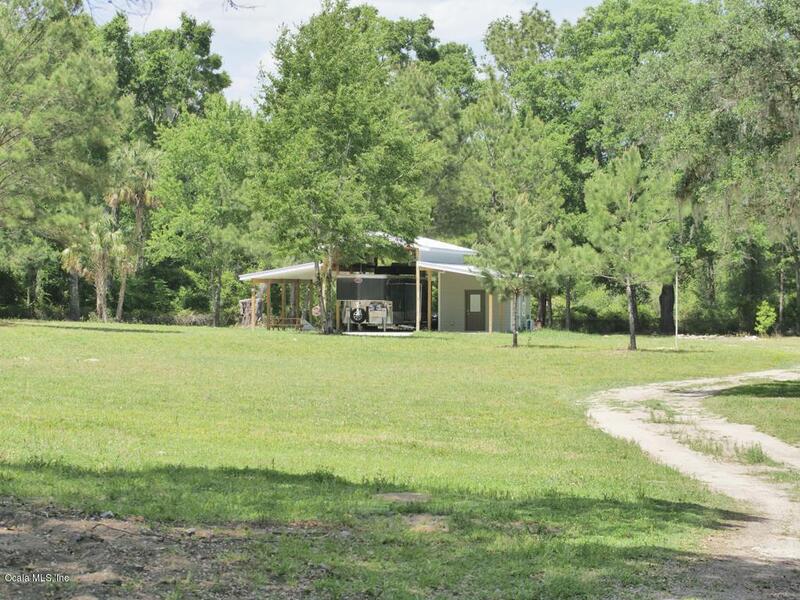 Listing provided courtesy of Glen Lee Baker of Showcase Properties Of Central Fl.